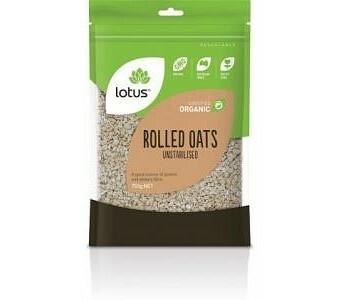 Lotus Organic Raw Unstabilised Rolled Oats are produced by dehusking and slightly rolling the oat grain. They are a good source of protein and dietary fibre. Ingredients: Unstabilised Rolled Oats. No Preservatives or Additives. Certified Organic by ACO.